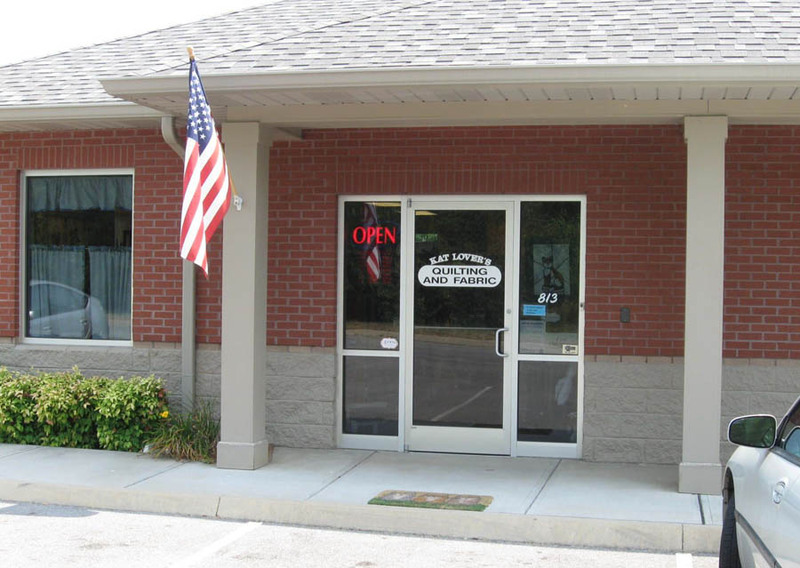 Whether you are a quilter that's a cat person or a dog person, you'll love Kat Lover's Pur-fect Quilting in Knoxville, Tennessee. 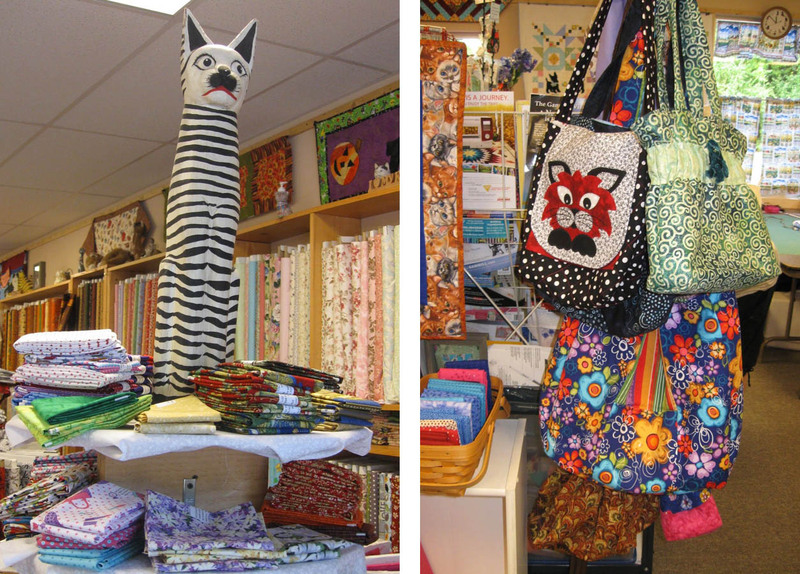 Aside from a vast collection of cat-themed patterns and fabrics, there are books, notions, and a beautiful selection of quilting fabrics at this shop... brights, blenders, novelties, florals, stripes, and more. 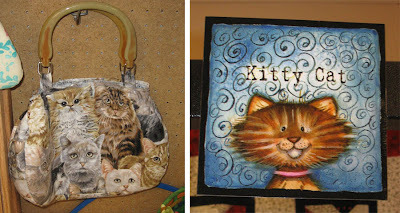 Cats in the fat quarters, cat bags, patterns and fabrics. Donna, the owner, and the shop's mascot, Max (the dog) greeted me at the front door. Max announced himself with a couple "hello-woofs" when I first arrived, but he settles into the office in the back and you don't really know he's there. 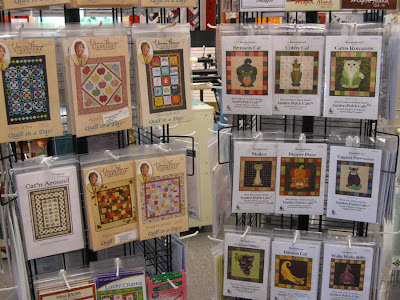 More fat quarters and cat quilts and wall hangings. Fabulous "Cat Art" pieces snuggle amid the stacks of fat quarters and on shelves. 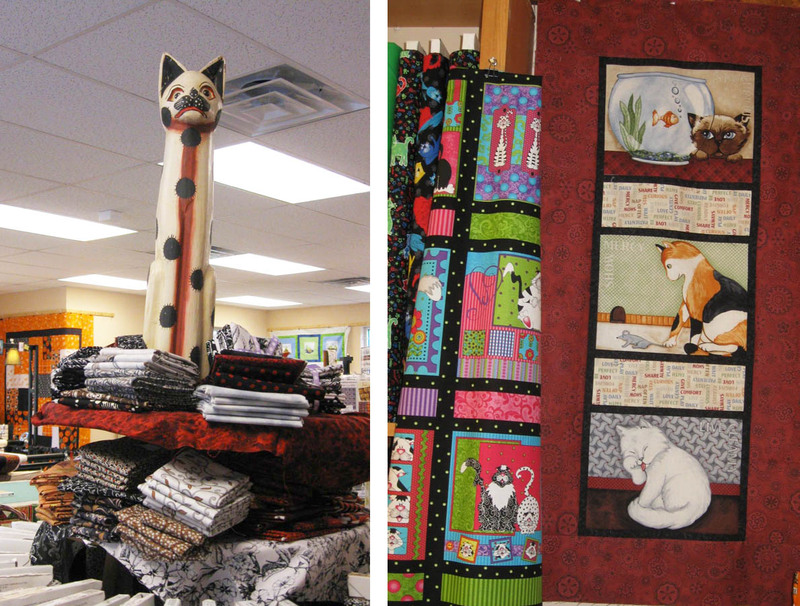 Quilts and wall hangings made with cat-themed fabrics and panels are also hung around the shop. can be found among the pattern selection. Handbags and small quilts decorate the shop. 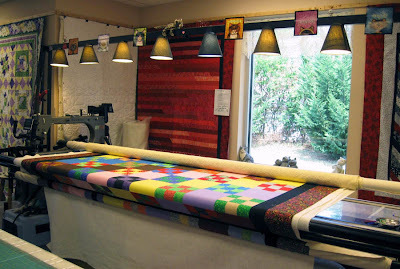 The long arm Gammill is located in the center of the shop and machine quilting services are available through the store. 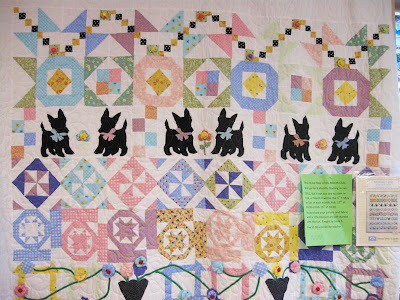 The quilts hanging from all the walls at Kat Lover's are inspiring and fun to look at. This red strip quilt can be made from a package of Fabrications (a collection of forty 2.5" pre-cut strips). A black solid inner border adds great contrast and the outside border in Splash by Blank Quilting frames the piece. 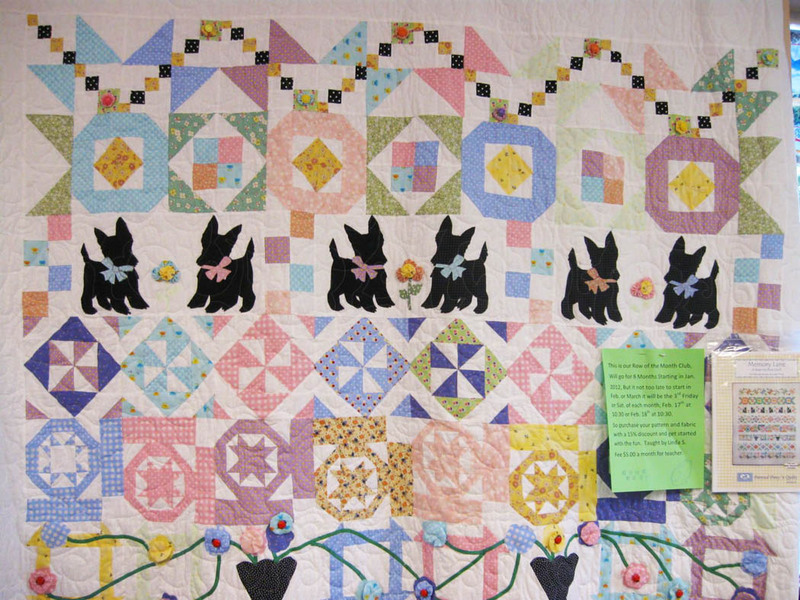 Put your pedal to the metal and make one of these fast and fun quilts. 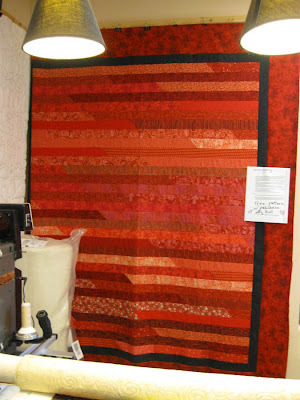 A free pattern, "Strips of Hope," is available in the Free Patterns section on the Blank Quilting web site here. Make a quilt with Fabrications 2.5" strips. Row quilt Block of the Month program. 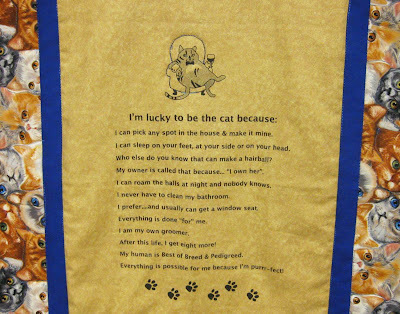 And, ask for the Kat Lover's Cat fabric panel. This is their own creation! 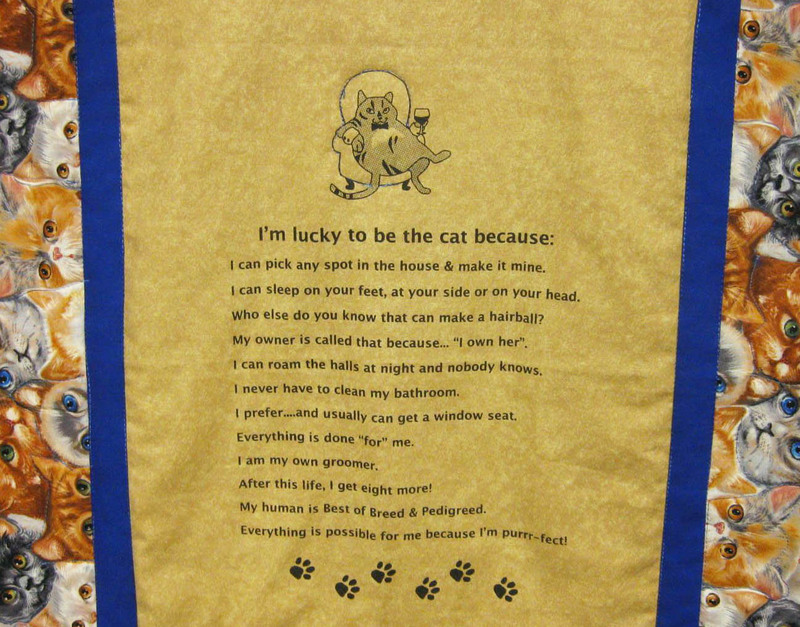 "I'm lucky to be a cat because..." fabric panel. 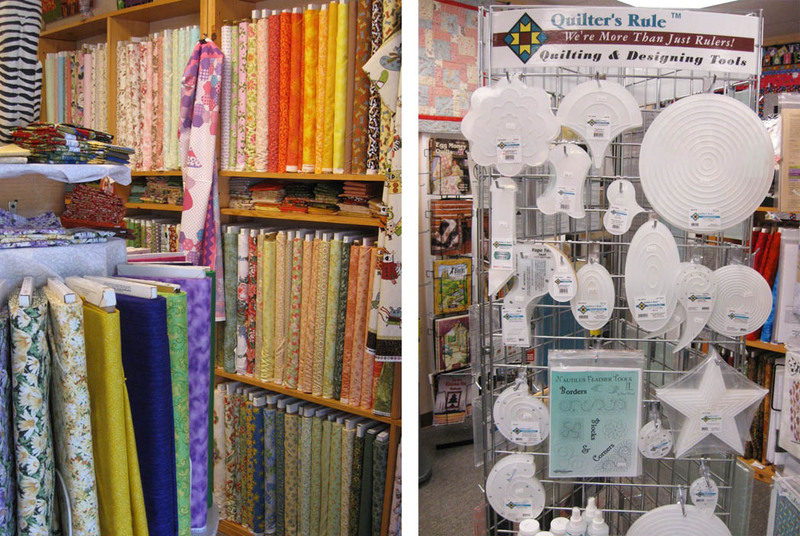 Fabrics and a variety of machine quilting rulers and templates. Kat Lover's is located at 813 Kermit Drive, off Clinton Hwy. (You'll take a turn between the Arby's and Title Max.) 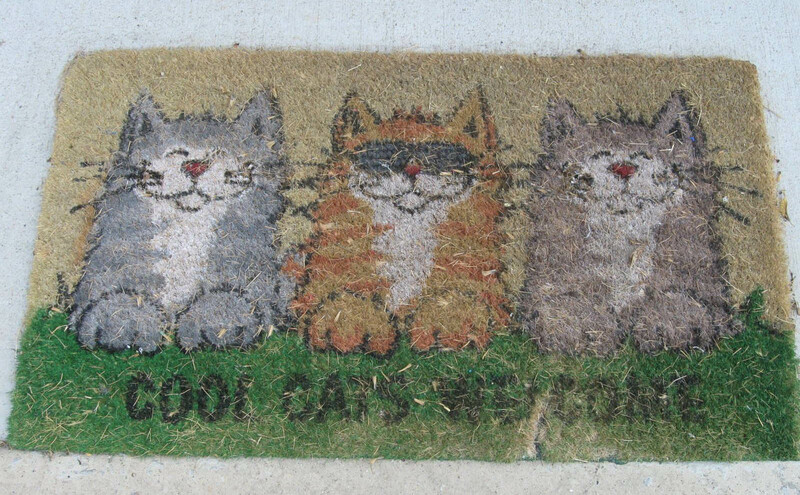 There is plenty of parking outside the shop and the Cat Mat on the front step. 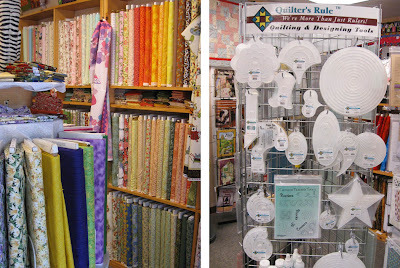 Kat Lover's Quilting and Fabric shop. 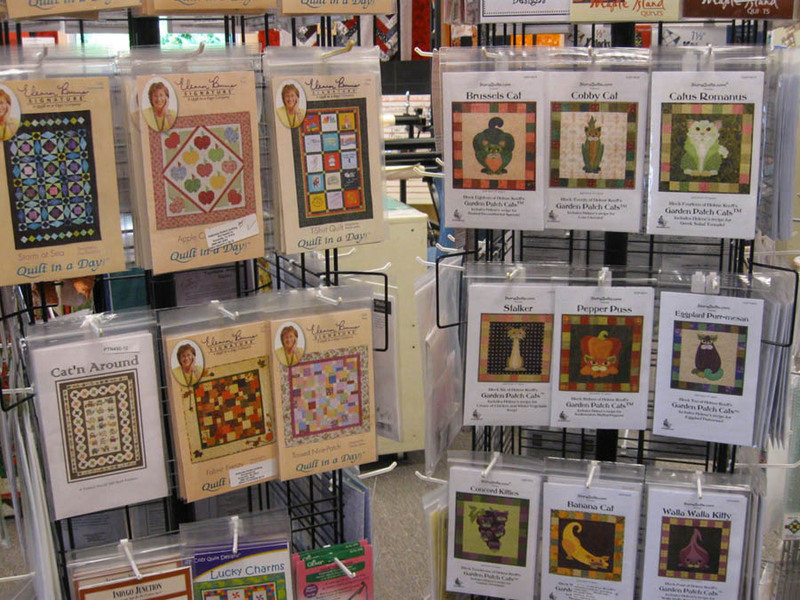 All you Cool Quilting Cats are warmly welcomed at Kat Lover's!